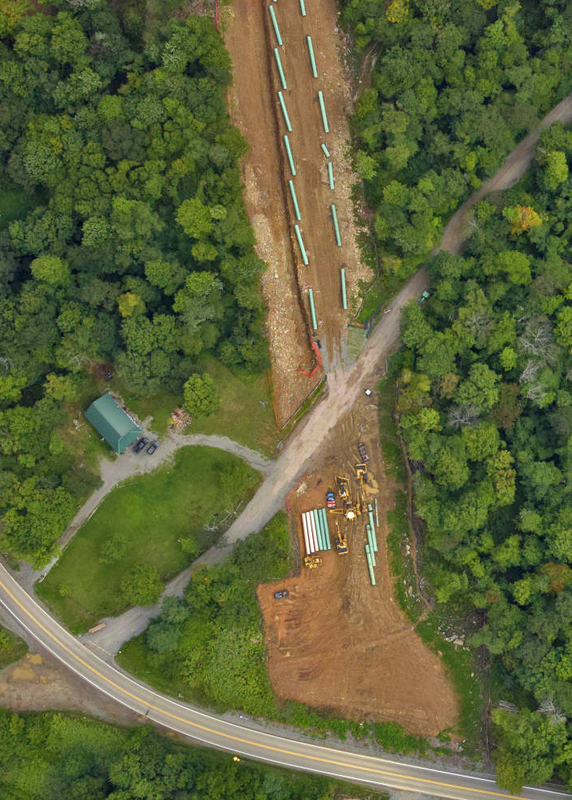 When the Federal Energy Regulatory Commission (FERC) approved construction of the ACP in late 2017, it made its approval conditional upon approvals from other regulatory agencies. 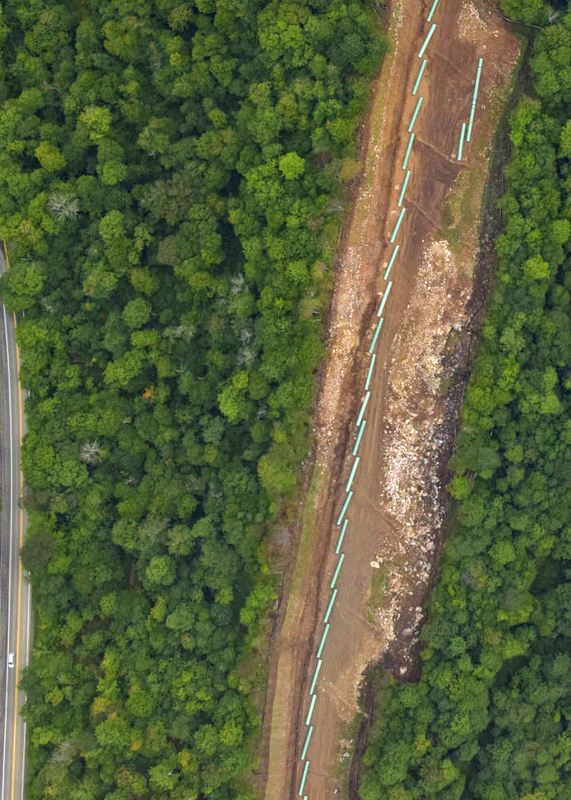 However, when a U.S. Fourth Circuit Court of Appeals ruling in May 2018 voided one of the required approvals, Dominion continued with construction of the ACP and FERC did nothing to stop it. 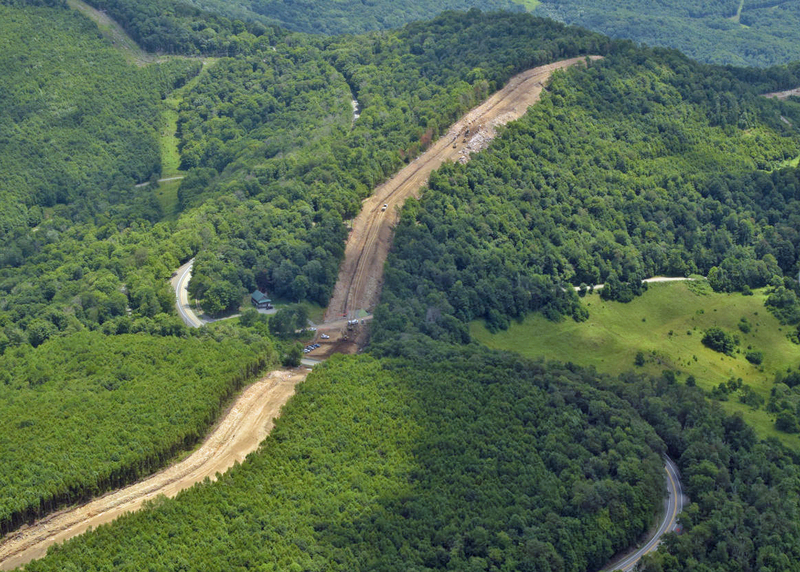 Only after the Court voided another permit in August of 2018 and reconfirmed its earlier ruling, did FERC finally issue a stop work order. 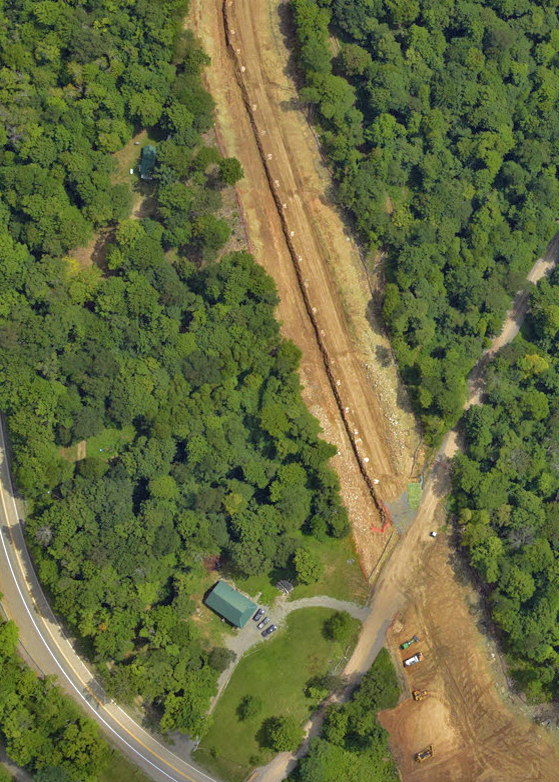 By then ACP construction activity in West Virginia included over 30 miles of right-of-way clearing and excavation, extensive trenching, and deployment of over 30,000 feet of pipe in the construction corridor. 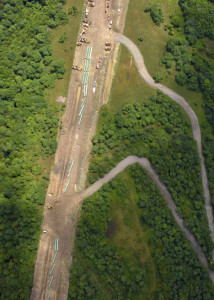 Although Dominion was on notice that it lacked an essential approval when it chose to continue with construction, FERC has accepted Dominion’s request that it be allowed both to complete installation of deployed pipe in previously excavated trench and to excavate additional trench in steep slope areas. 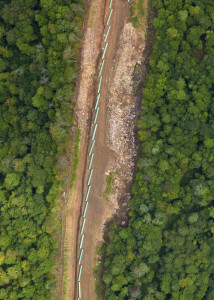 Dominion is gaming the system, and FERC is playing along. 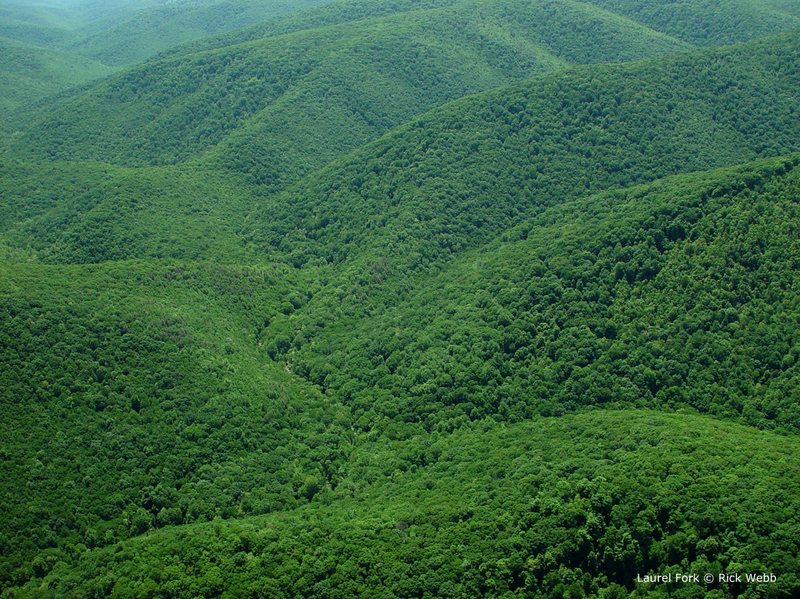 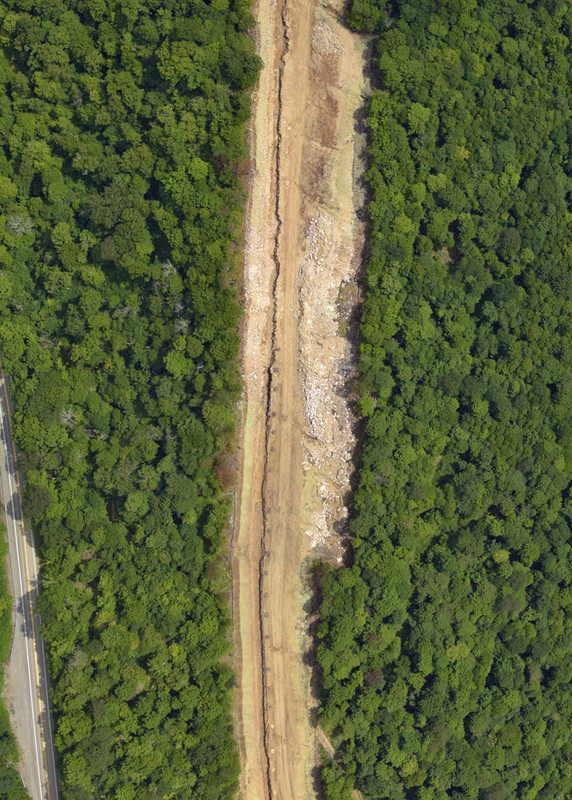 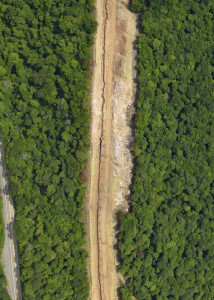 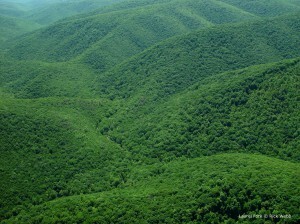 May 2, 2018: Pipeline Air Force surveillance of the ACP right-of-way corridor in West Virginia and Virginia (east to Buckingham County, Va.) Observed previous tree-felling, with cut trees laying in the right-of-way corridor, including about 40 miles of corridor in West Virginia and 32 miles in Virginia. No previous or current construction activity or use of motorized equipment observed in the corridor. 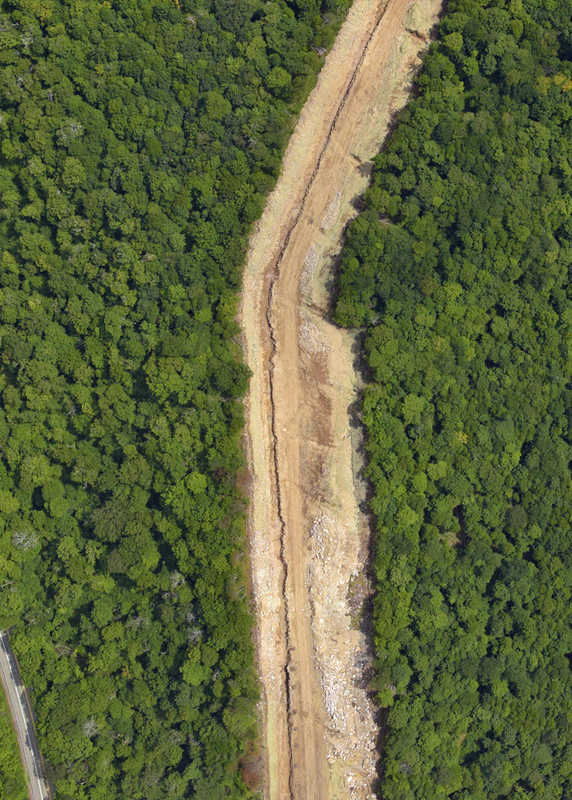 May 15, 2018: The U.S. Fourth Circuit Court of Appeals vacates the U.S. 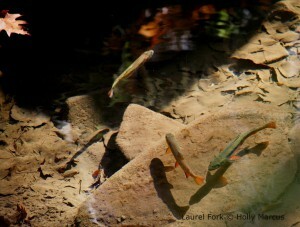 Fish and Wildlife Service Incidental Take Statement, which authorized the ACP project to take certain species protected by the Endangered Species Act (ESA), on the grounds that the indeterminate take limits set by the agency undermine enforcement and monitoring under the ESA. 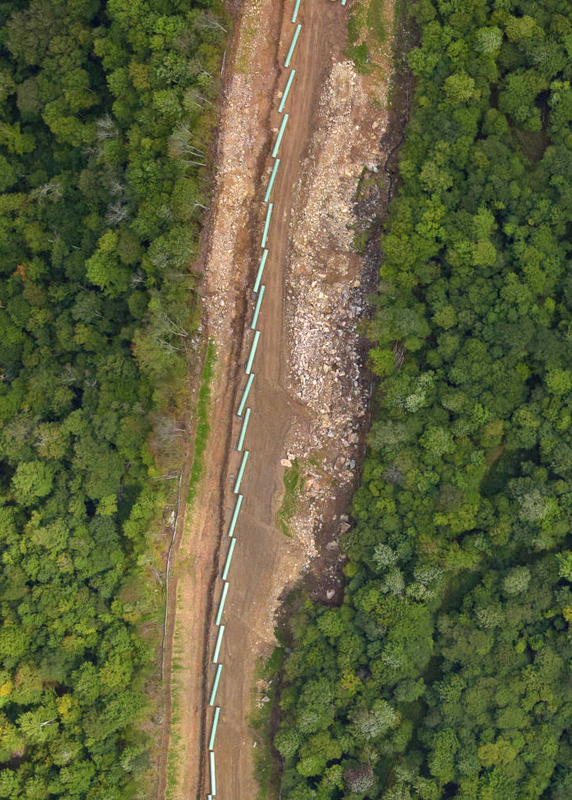 May 16, 2018: The Southern Environmental Law Center (SELC) alerts FERC that the U.S. Fourth Circuit Court of Appeals has vacated the Incidental Take Statement for the ACP. 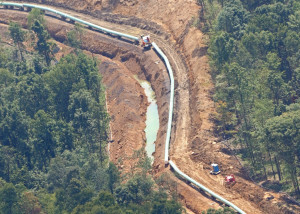 SELC notes that the incidental take statement is a required component of formal consultation under the ESA, that FERC’s approval of the ACP is conditioned on completion of consultation under the ESA, and therefore FERC must halt all on-the-ground construction activities until formal consultation under the ESA is reinitiated and completed. 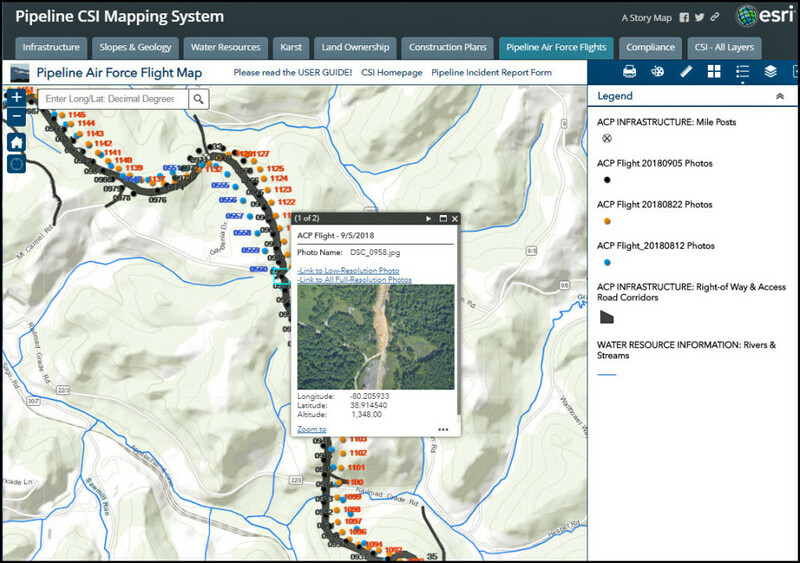 June 8, 2018: Pipeline Air Force surveillance of the ACP right-of-way corridor in West Virginia. 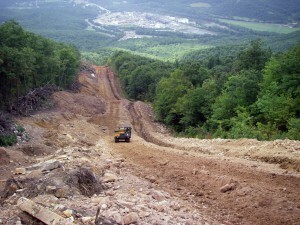 Right-of-way construction observed in a 4-mile section of the corridor in Upshur County, including road construction, removal of trees, stumps, and roots, rough grading, cut-and-fill excavation, rock breaking and blasting, and installation of certain runoff and erosion and sediment controls. 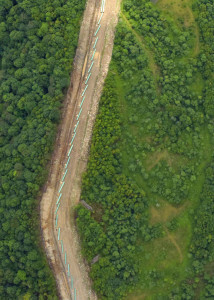 No pipe observed in the right-of-way corridor. Earlier phases of construction, without installation of runoff and erosion and sediment controls, observed in the southern-most mile of the construction area. June 28, 2018: Pipeline Air Force surveillance of the ACP right-of-way corridor in West Virginia. 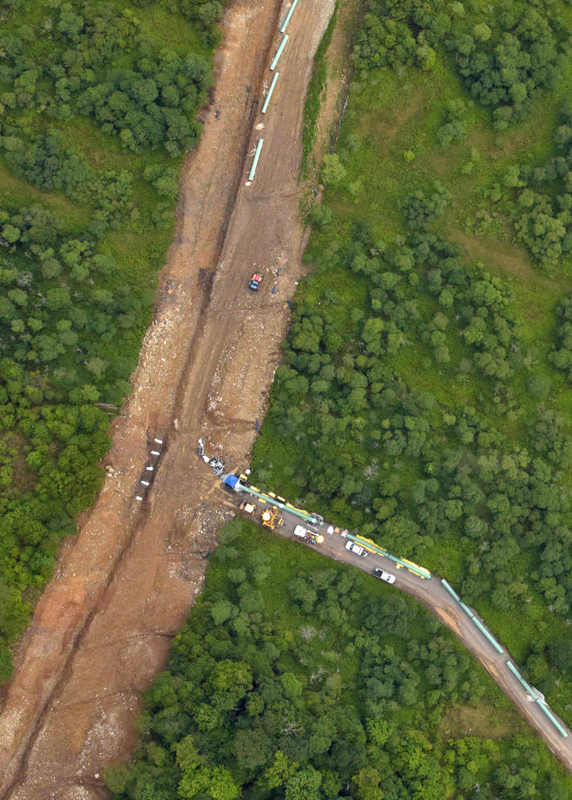 Additional construction, but no pipe observed in the corridor. 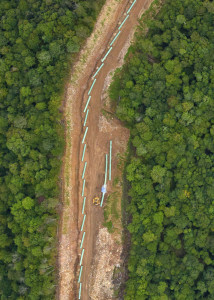 August 5, 2018: Pipeline Air Force surveillance of the ACP right-of-way corridor in West Virginia. 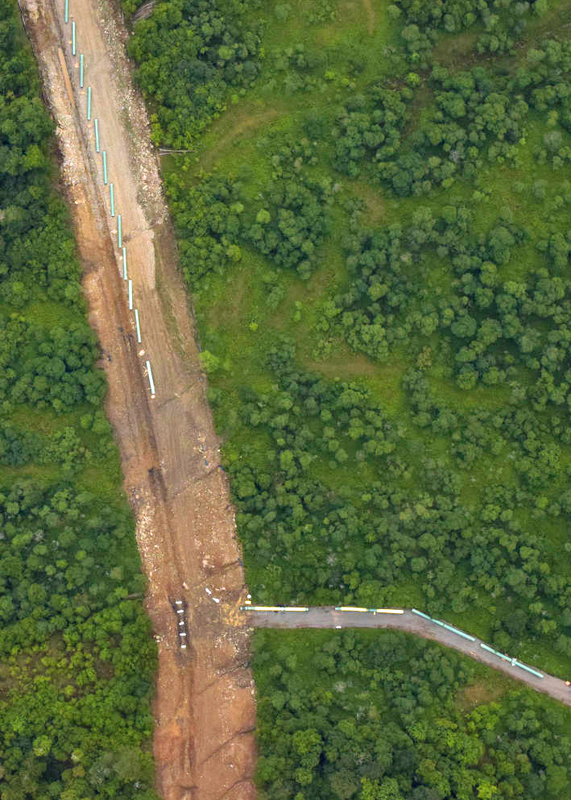 Observed 24,500 feet of pipeline deployed in the corridor, as well as extensive trenching. 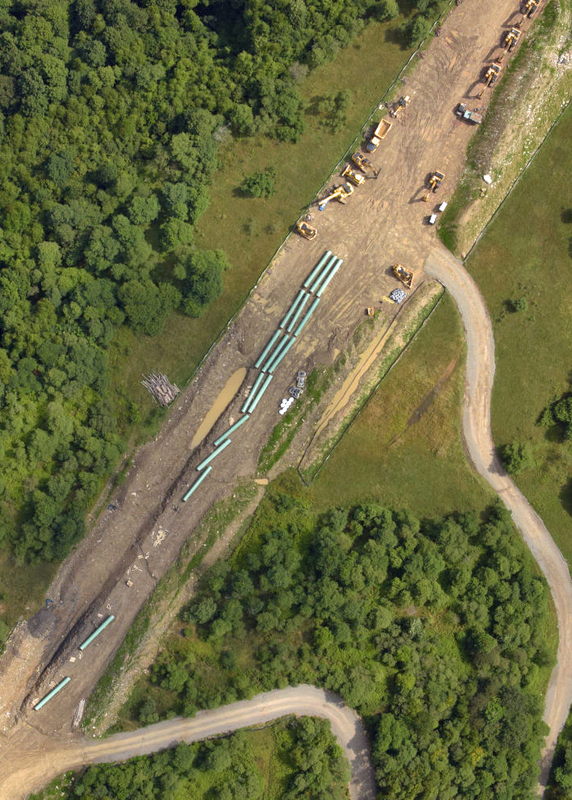 August 10, 2018: FERC issues a stop-work-order for all portions of the ACP, with the exception of measures deemed necessary to ensure stabilization of the right-of-way and work areas. 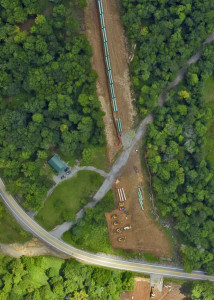 August 12, 2018: Pipeline Air Force surveillance of the ACP right-of-way corridor in West Virginia. 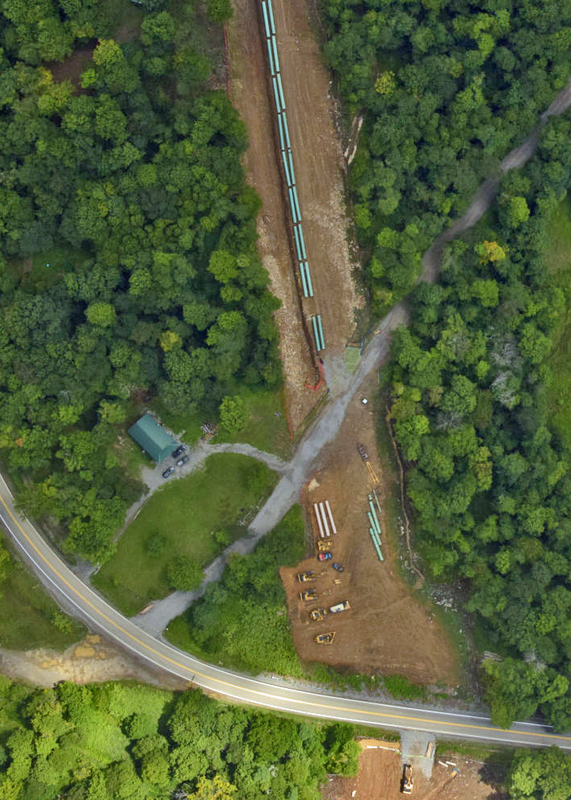 Observed 7,900 feet of additional pipeline deployed in the corridor since August 5 (32,400 feet total). 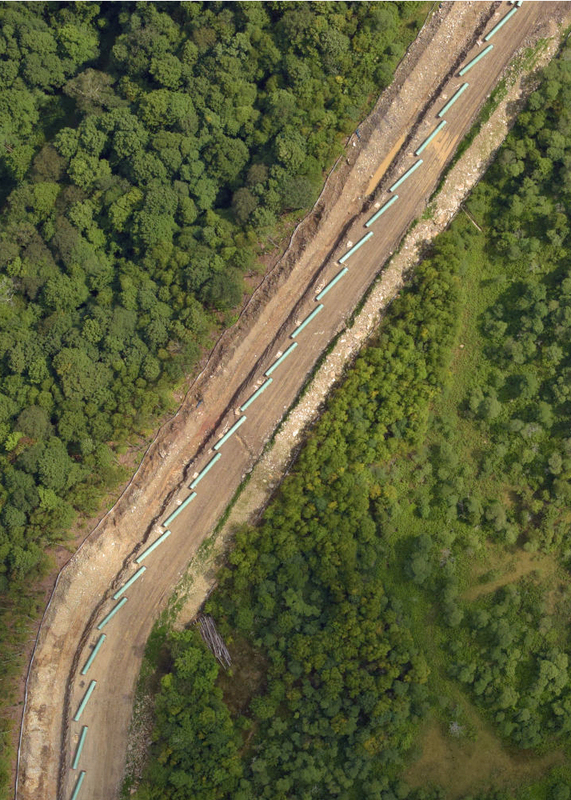 August 15, 2018: Dominion submits request to FERC seeking approval to continue construction activities based on the need for stabilization of the right-of-way corridor. 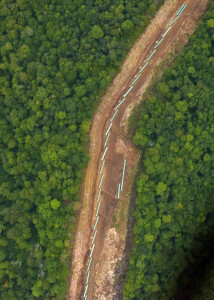 In addition to completion and maintenance of erosion and sediment control measures, Dominion proposes to install strung pipe in previously excavated trenches. Dominion also proposes to excavate trenches for installation of strung pipe in steep areas (where slopes exceed 30% for 100 feet or more). August 16, 2018: SELC and Appalachian Mountain Advocates submit response to FERC concerning Dominion’s stabilization plans, arguing that Dominion should be required to remove pipeline from the right-of-way and should not be allowed to excavate additional trench and install pipe in the name of stabilization. 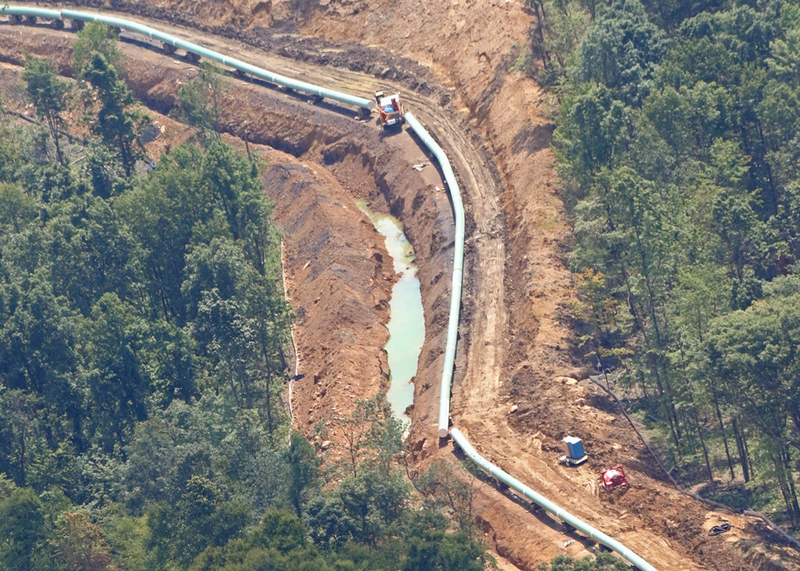 The law firms contend that Dominion has known since May 15, 2018 that it lacks a key permit for the project and that FERC should not countenance the decision by Dominion to proceed in the absence of required permits, by allowing Dominion to bury the pipe it brought to the right-of-way at its own risk. 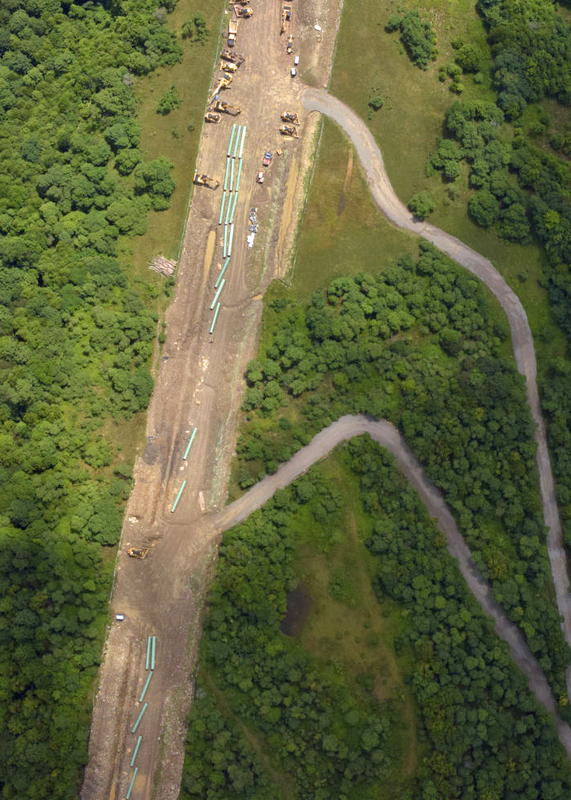 August 17, 2018: FERC approves Dominion’s proposed stabilization plans, allowing excavation of additional trench and installation of pipe deployed after key permits were vacated by the U.S. Fourth Circuit Court of Appeals. 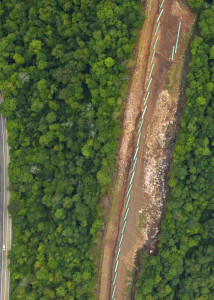 August 22, 2018: Pipeline Air Force surveillance of the ACP right-of-way corridor in West Virginia. 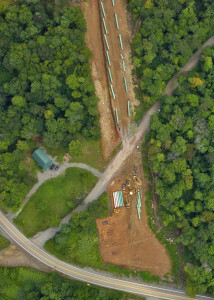 Observed 1,100 feet of additional pipeline deployed in the corridor since August 12 (33,500 feet total). 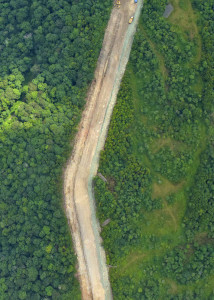 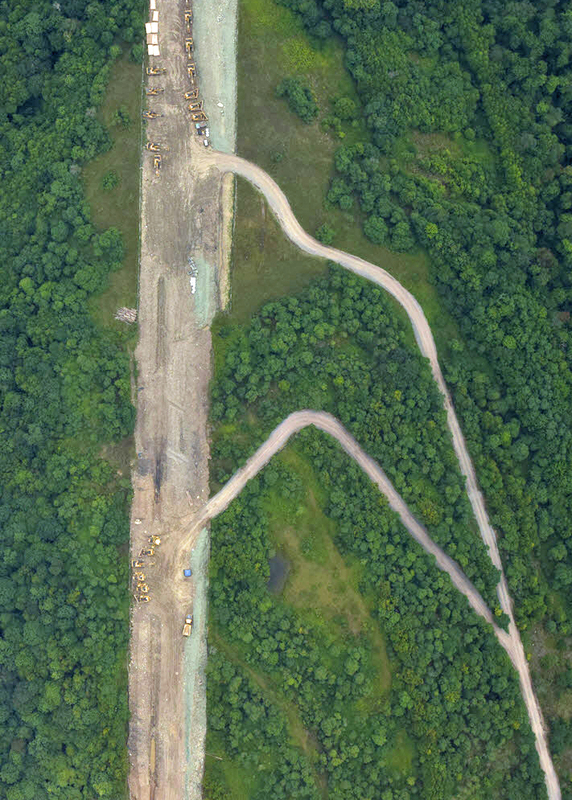 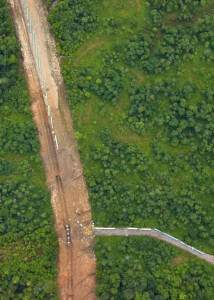 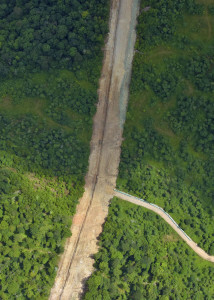 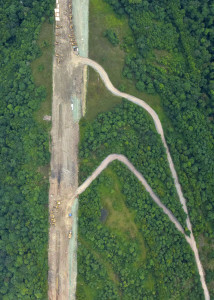 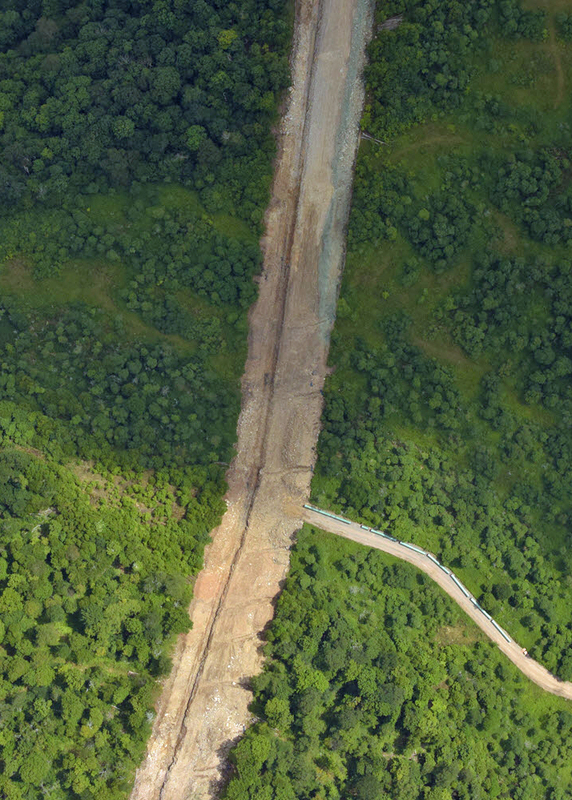 The following images, obtained in August of 2018 by the Pipeline Air Force, show the progress of ACP construction on Point Mountain in Randoph County, south of WV Route 15. 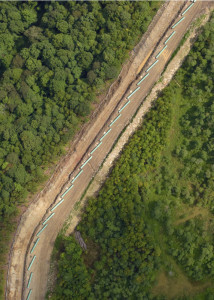 By August 5th, much of the trench had been excavated in this section of the right-of-way corridor, and pipe is visible on one of the access roads (3rd row of photos), but no pipe had been placed in the corridor. 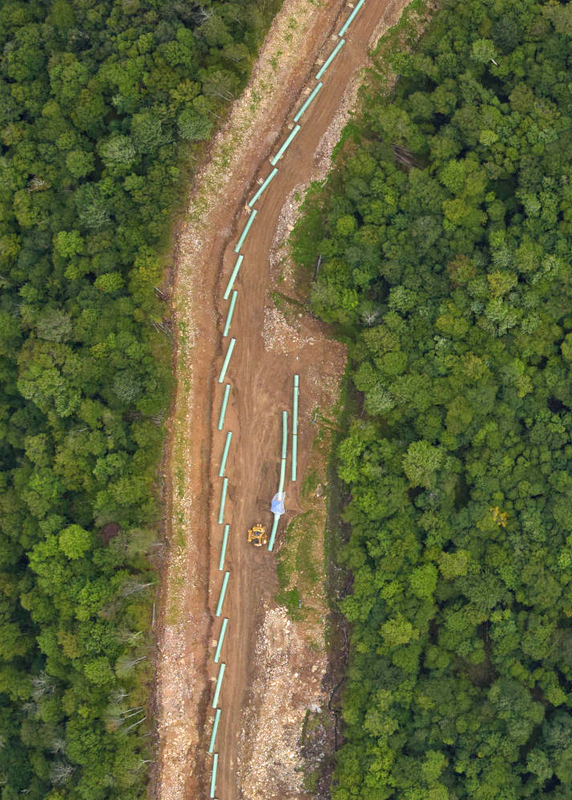 Pipe was strung in the corridor during the next seven days.